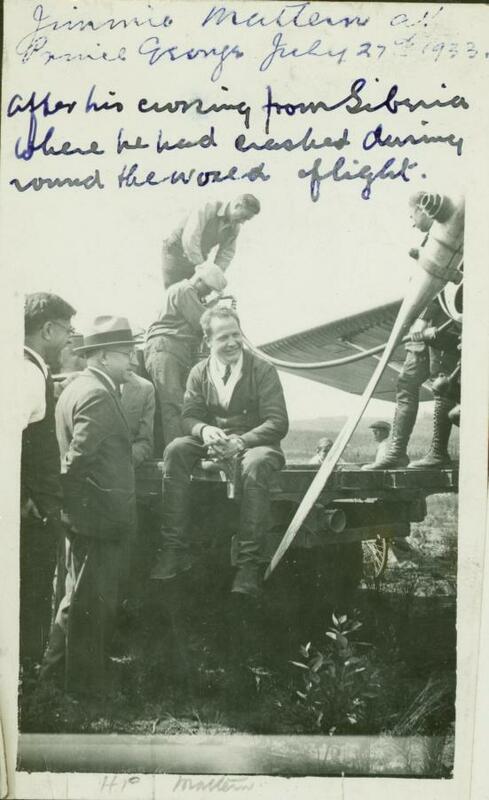 Handwritten annotation on recto: "Jimmie Mattern at PRince George, July 27th 1933. After his crossing from Siberia where he had crashed during around the world flight". 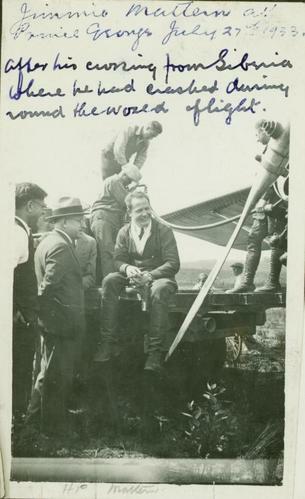 Photo depicts Harry Perry and five other men standing around Jimmie Mattern who sits on a truck flat bed parked next to his plane.